You can use any type of wine for this. This is a great way to use up a partial bottle of wine. Thanks to Denise for this recipe! Thanks to Denise Ertsman for this recipe! 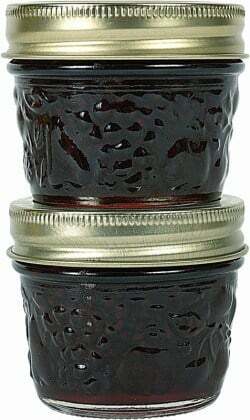 If you ever happen to have leftover wine, you can turn it into homemade Wine Jelly. This mixture makes 2 pints. Sterilize the jars that you will use. In a medium sized pot combine wine and sugar. Mix well, and combine until all sugar is dissolved. Heat on medium high heat until the mixture boils. Boil for 1 minute, and then add the liquid Pectin. Allow mixture to return to a boil for one minute, and pour jelly into jars.